Agave havardiana growing succulent leaf plant of the genus Agave also known as Havard’s Century Plant, Agave havardiana perennial evergreen plant, the plant dies after the bloom and the young plant grow instead and also used as ornamental drought tolerant plant, can grow in desert, subtropical, mediterranean or tropic climate and growing in hardiness zone 5+. 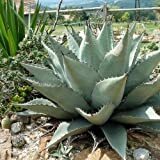 Leaves color green-blue with spines on the edges, the leaves are fleshy, leaves grow in rosettes structure, the leaf black spiny pointed in spear shape. 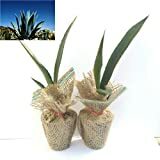 Agave havardiana HARDY AGAVE Exotic SEEDS!